Form, colour and texture are the defining features of my work. 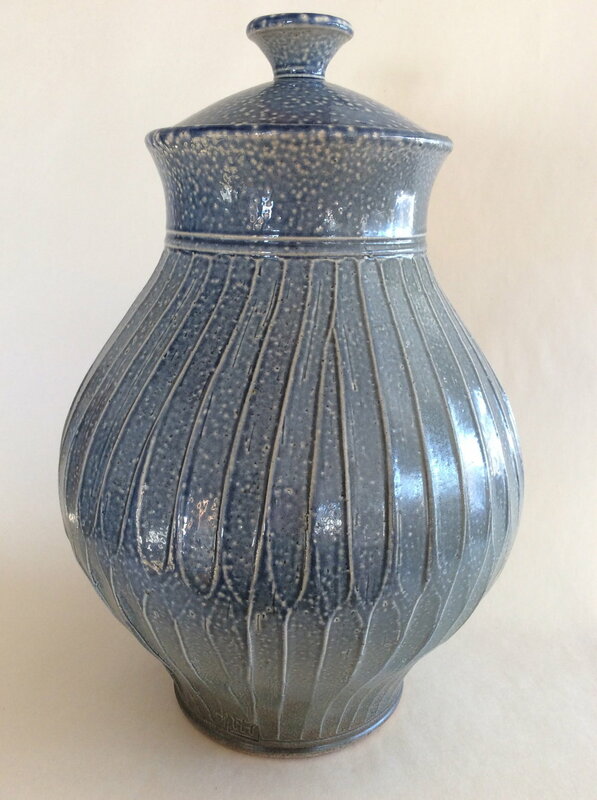 Most of my pottery is wheel-thrown and sometimes altered, re-assembled and carved or fluted. I have been firing a salt kiln for almost 30 years and now expect a range of results from any given kiln load of work. I work mostly in stoneware, firing to cone 6 in a 40cu ft sprung arch kiln.